Firstly, I’d like to say thank you very much for everyone who play and support my mod. Now I bring you new updates with more quality map and new areas to explore. – Adapting compatibility game version in 1.27. – Moving this map to the new position. 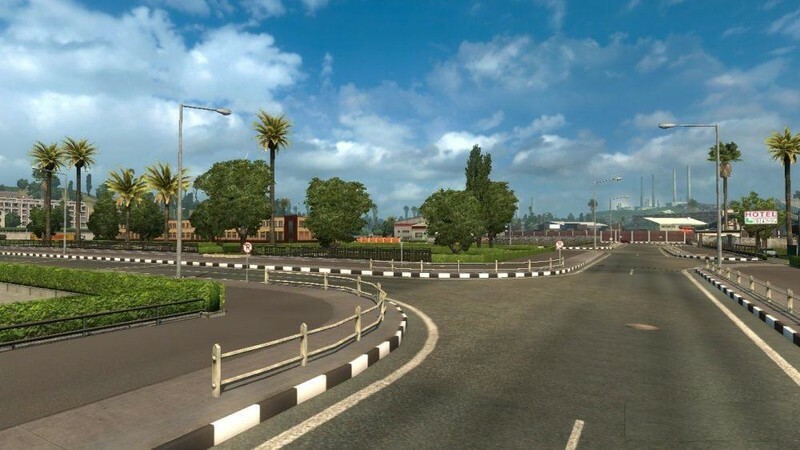 – Adding new roads near Kp. Cadar (northern part). – More enchanted vegetations and new forest area. – Not require all DLC’s Map. 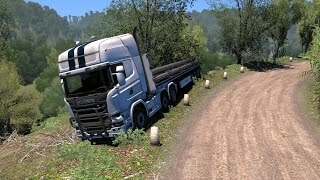 Euro Truck Simulator 2 Base Game, all map mods that inspire me very much, all of comments & suggestions, and more. 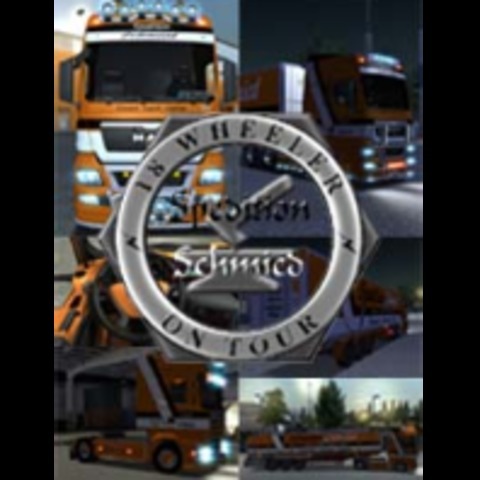 - Adapted for newest Ets2 version. - Some assets improved and map bugfixes. 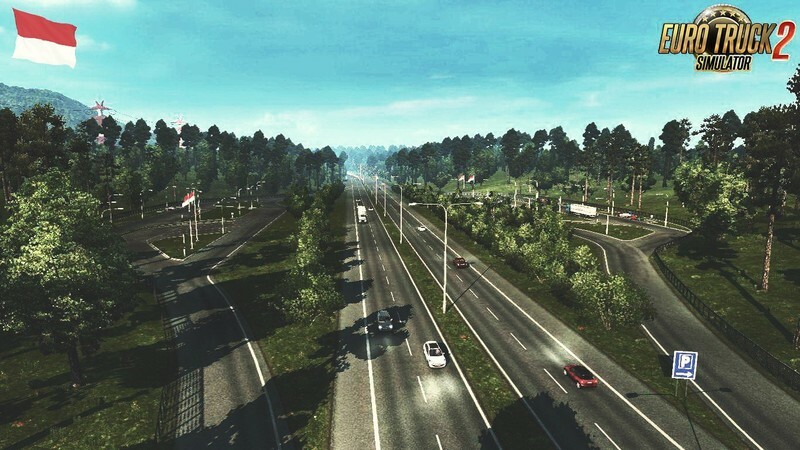 PJ Indo Map is increasingly recognized and slowly liked by many players. 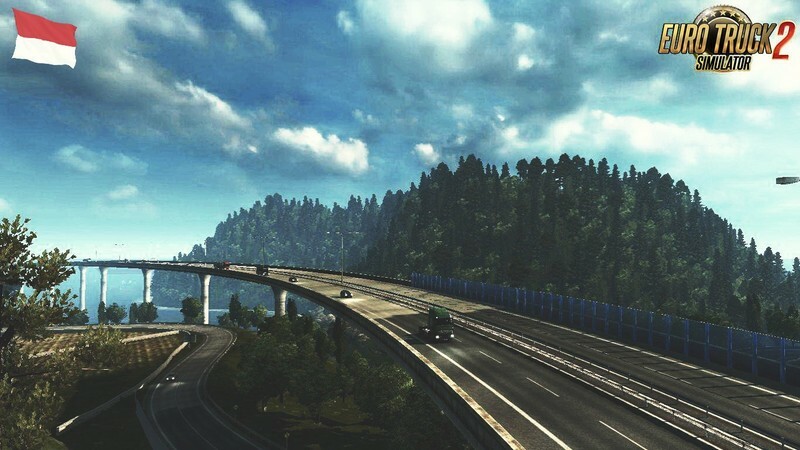 It brings better quality and compatible with almost all of Ets2 add-on maps. Although I realize this is not a full representation of the real life of Indonesia. 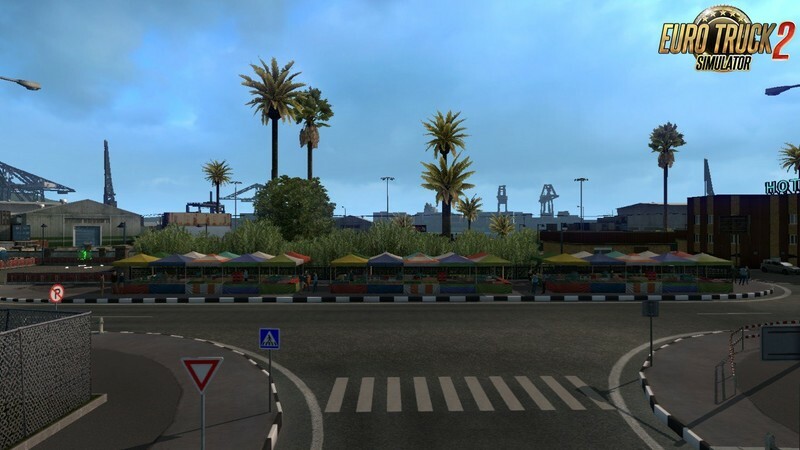 This is one of the add-on maps that do not require all DLCs. 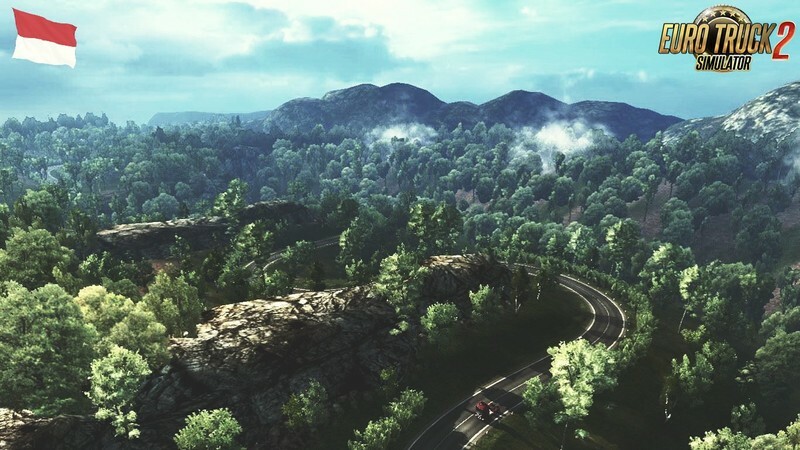 I want this map can be played by everyone, even they who do not have any DLC yet. 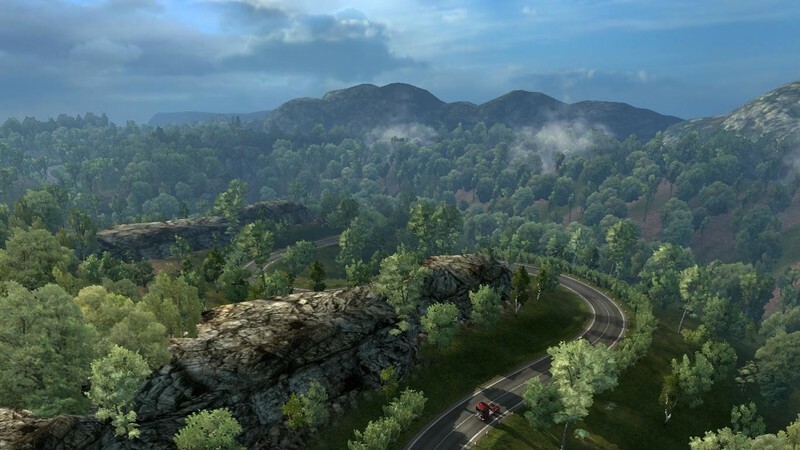 In addition, there is rarely a fantasy map add-on which has a good quality. 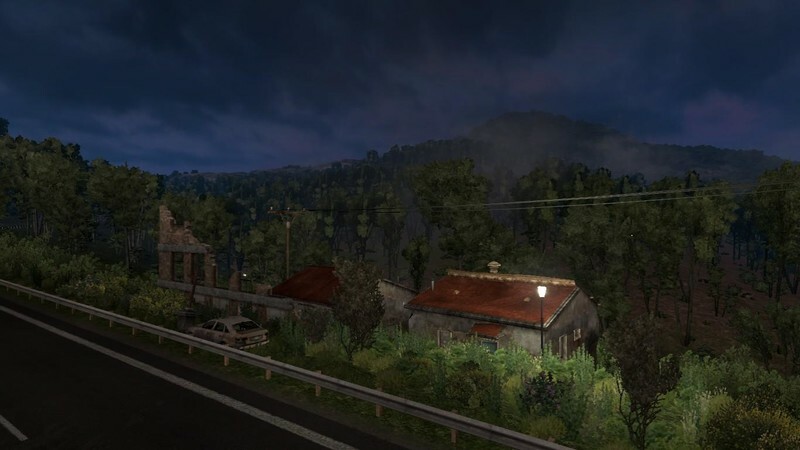 This mod is made in such a way with lighter performance or graphics as much as possible. 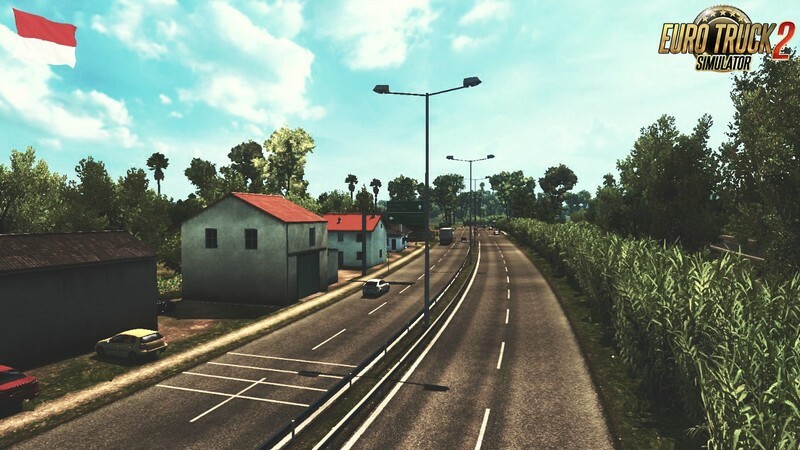 I also hope that this mod will continue to be better quality. More information look at the readme. Enjoy! I hope you like this map. Thank you. 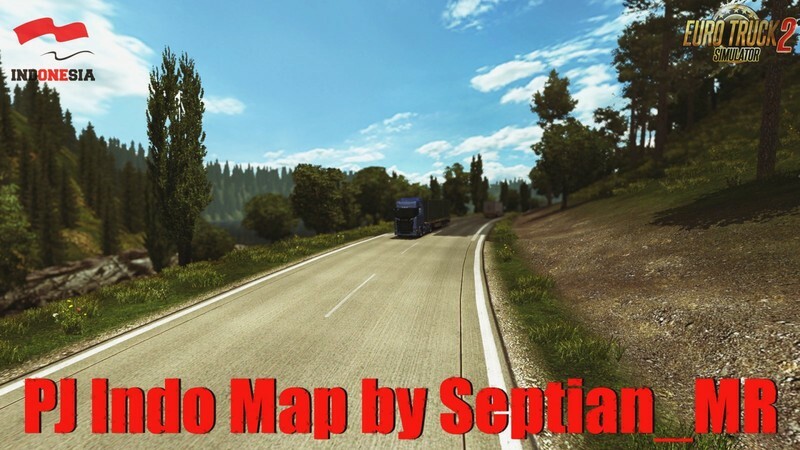 Also compatible with other map mods: ProMods, RusMap, Southern Region, Project Balkans, MHA Pro, EAA, TSM, etc. - Not require all DLC’s (Going East, Scandinavia, Vive la France, and Italia). 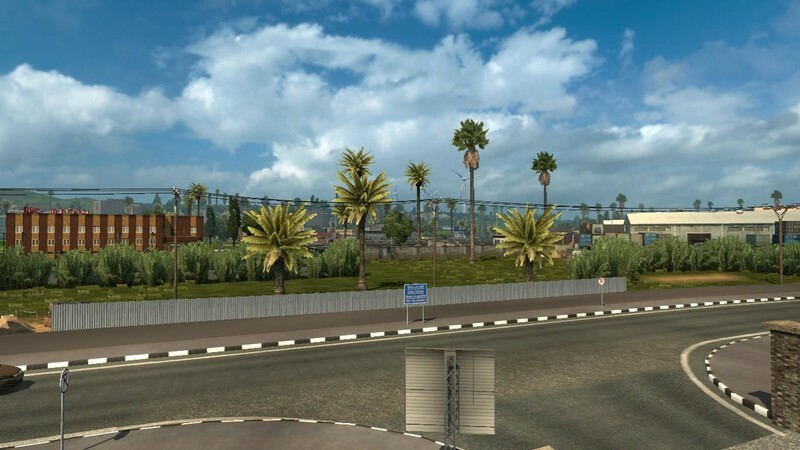 So everyone who don’t have all of those DLCs can play this map. 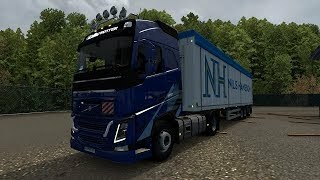 Euro Truck Simulator 2, all mods inspiring me, all of comments & suggestions, and more. Changelogs: – Compatible for version 1.32. 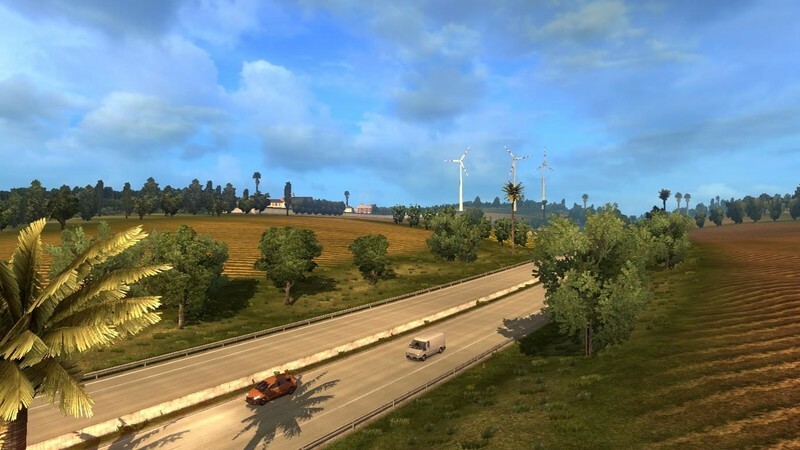 – Added a new road and more improvements in northern part (left-side traffic). – Few Bugs fixed. Notes: – Not require all DLC’s. 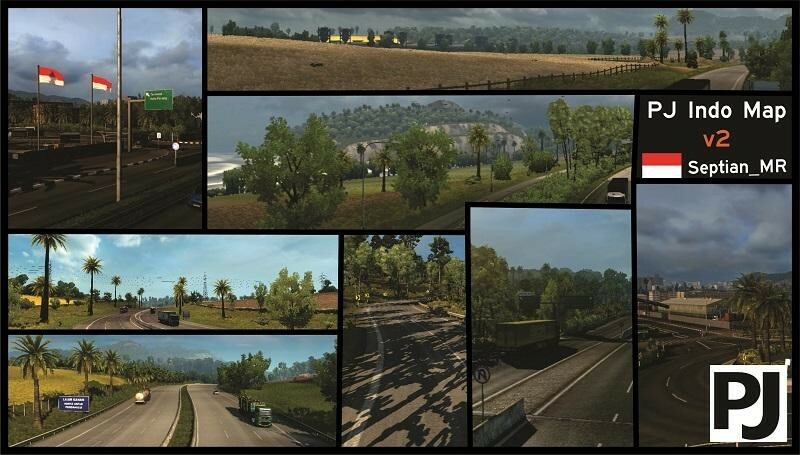 – This map can be combined (compatible) with every add-on maps. – More information look at the readme. Enjoy! I hope you like it. Thank you. 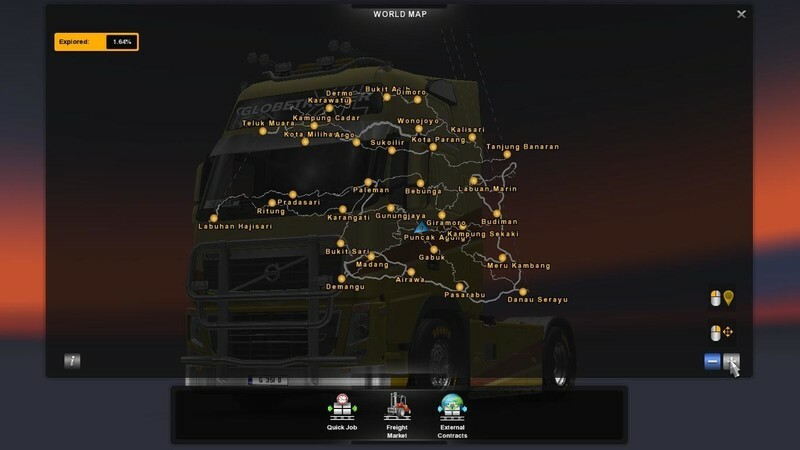 Special thanks to: Euro Truck Simulator 2, all mods inspiring me, all of comments & suggestions, and more. – Compatible for version 1.31. – IMPROVED WHOLE AREAS in northern part (left-side traffic). 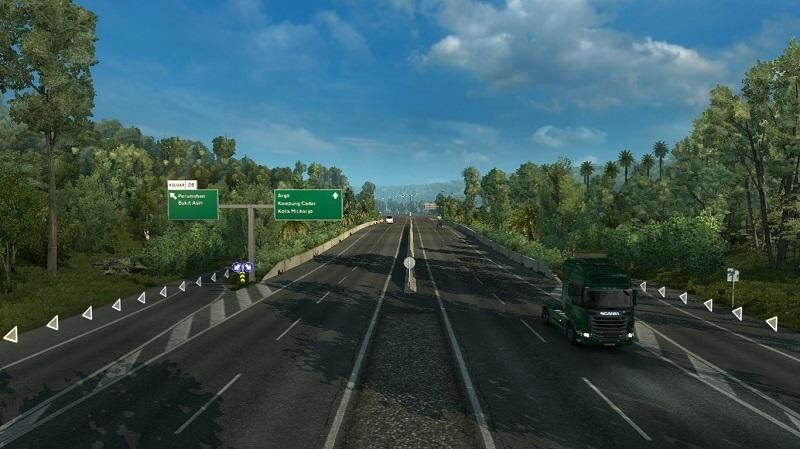 – Added more new Indonesian signs and navigations. 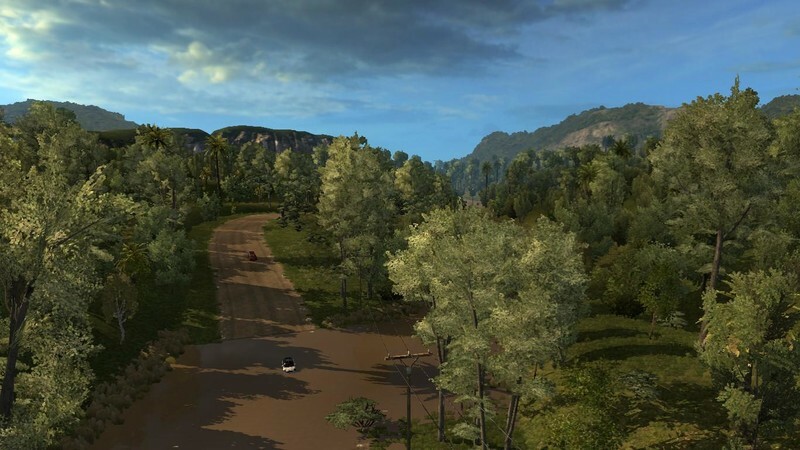 – Added more enchanted vegetations and fields. 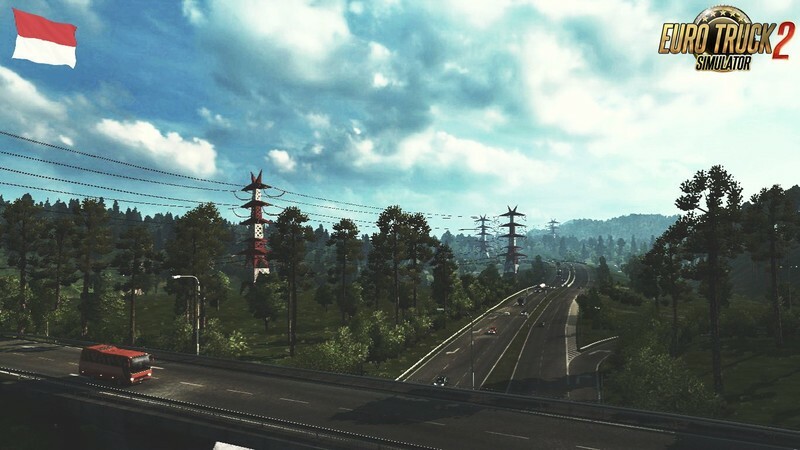 – Not require all maps DLC. – More information look at the readme. 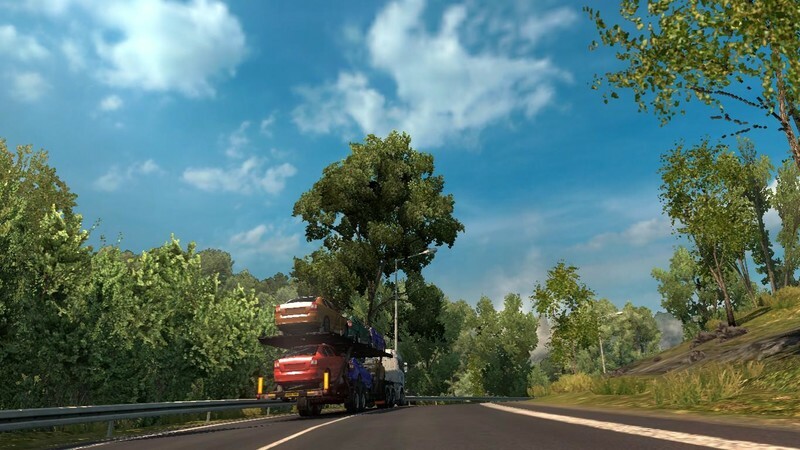 – Compatible for ETS2 patch 1.30. 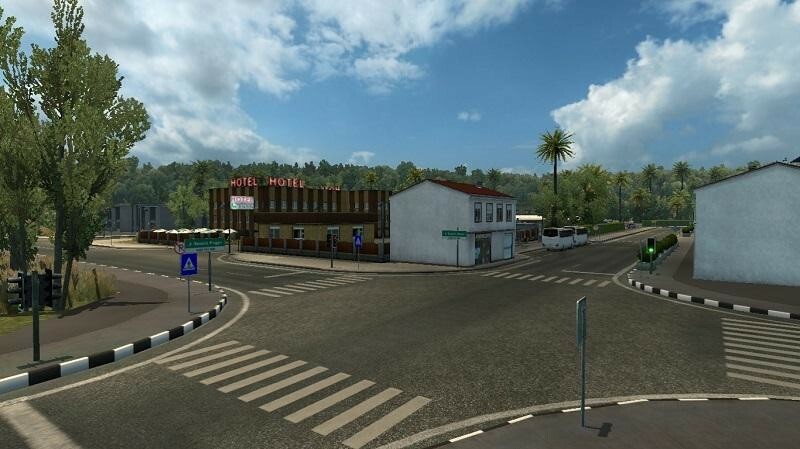 – Added more new Indonesia signs and navigations. – Improved some areas from Teluk Muara, Kp.Cadar, and Miliharjo (northern part). 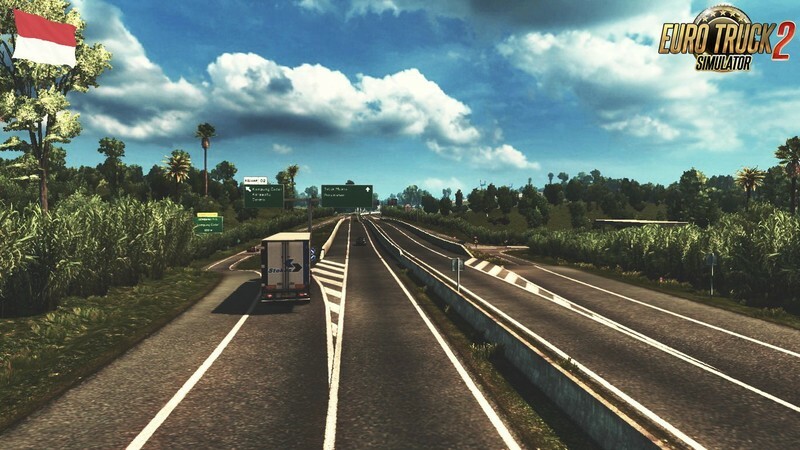 – Compatible for ETS2 version 1.28 and above. 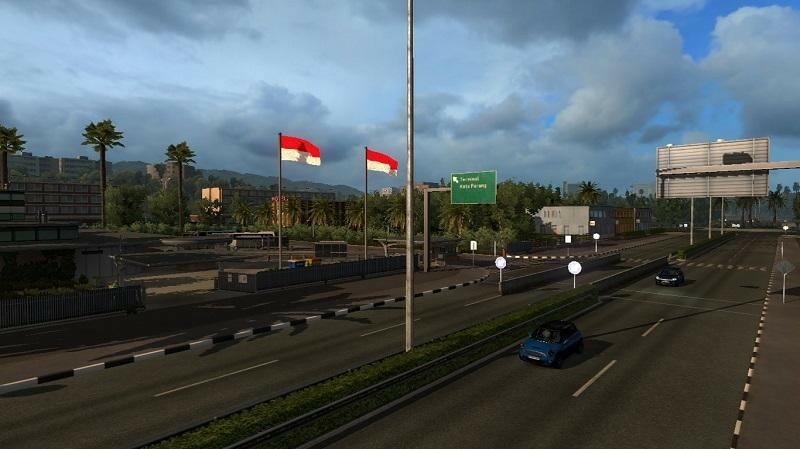 – Added new Indonesian road map overlays, signs, and some new models and assets. 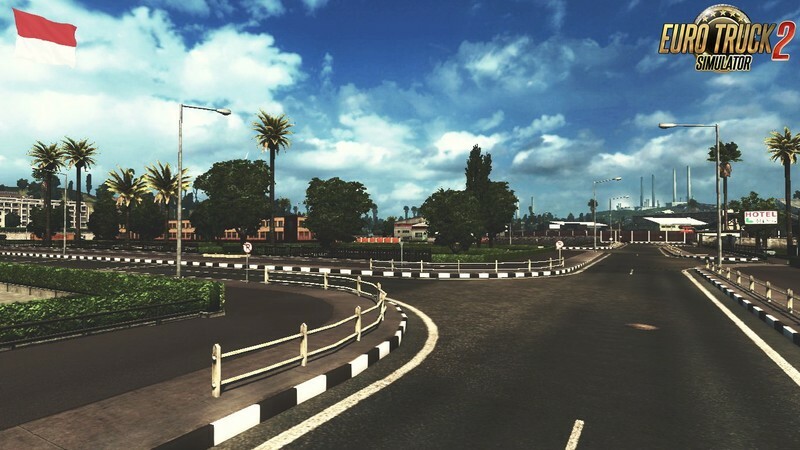 – Added some improvements in Teluk Muara (northern part) and Labuhan Hajisari (southern part). – More improvements on several places. 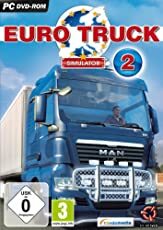 Euro Truck Simulator 2 Base Game, all mods inspiring me, all of comments & suggestions, and more. 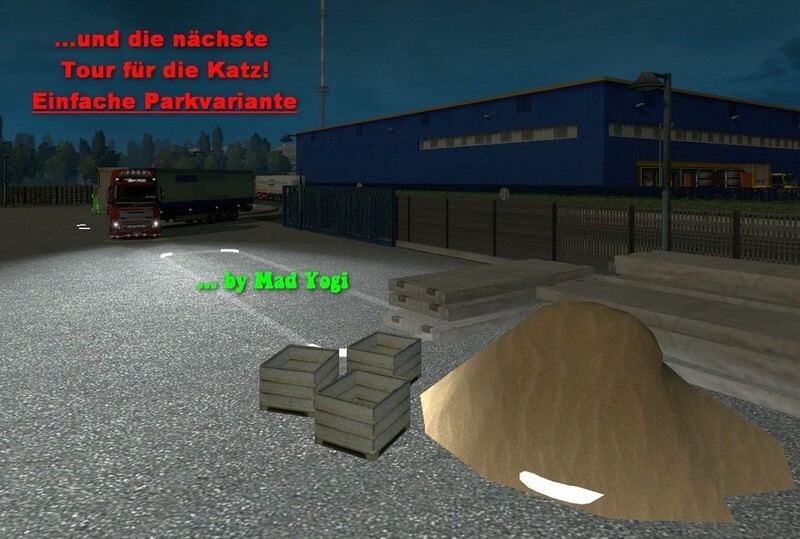 Schwerlast Trucks und Heavy Trailer ( V 1.27.2.3s ) in Verbindung mit der Indo Map kommen gar nicht gut, weil die KLEINEN HÄFEN NICHT FÜR SO LANGE ZÜGE ausgelegt waren. Bei der Ankunft zerbröselt´s die Karre böse, oder der Zug knallt gleich voll auf die Seite ( siehe Bild )!!! Läuft - wider erwarten - mit Gameversion 1.27.1.6s sowie den 3 DLC Maps ( fast ) problemlos. Der Umfang macht ca. 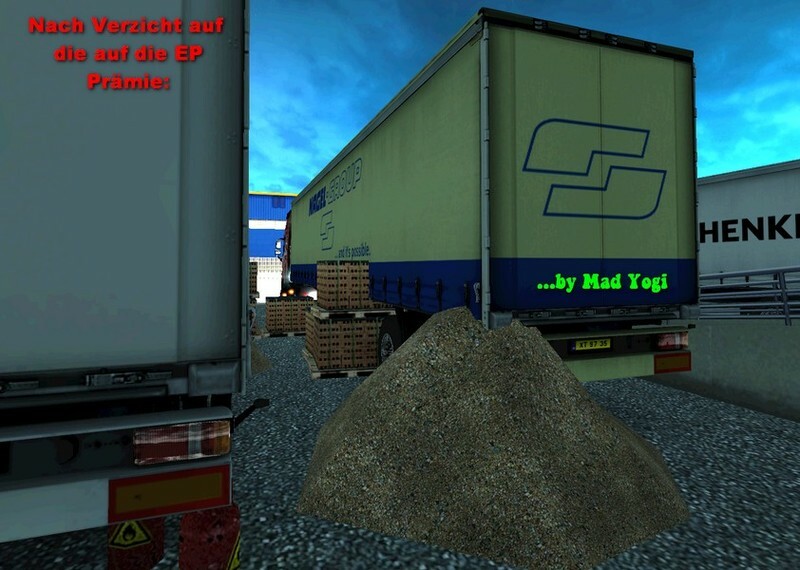 12% zusätzlich zu der 1.27er SCS Map aus. Die "Indo-Map" ist also weitaus kleiner als "Going East" oder "Vive La France". Realistisch??? Nööh, denn eine Fährverbindung wo kein Meer ist ( von Calais unter Frankreich durch ) ist Blödsinn und irgendwie gehört Indonesien auch nicht zu Europa, oder? Von der Vegetation her, könnte es genausogut Deutschland, Italien oder Spanien sein. Nix, was man nicht schon gesehen hätte. Die gleichen Firmen, die gleichen Gebäude, Arbeitsämter und Truck Händler, wie man sie schon von ETS und GTS kennt. 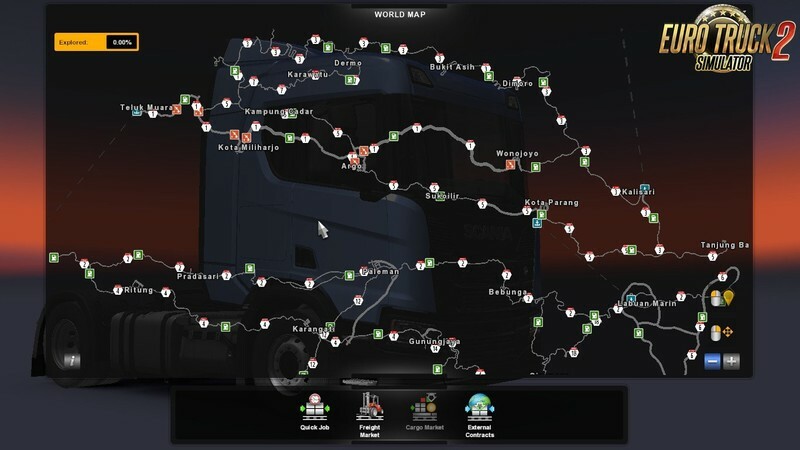 Dennoch ist die Map - für mich - eine willkommene Erweiterung, da ich die SCS Map zu 100% habe und da ist dann die Luft raus. Ganz Buggfrei ist die Map allerdings nicht: Abliefern, wenn dort wo die Zugmaschine stehen soll, ein Kran steht geht nicht und die EP Prämie ist beim Teufel! Verzichtet man zwangsläufig auf´s einparken steht der Truck anschliessend im Kran und wird ramponiert! OK,- hatte ich bisher nur einmal, aber sowat kümmt goar net gut! Wäre cool, wenn man das fixen könnte! 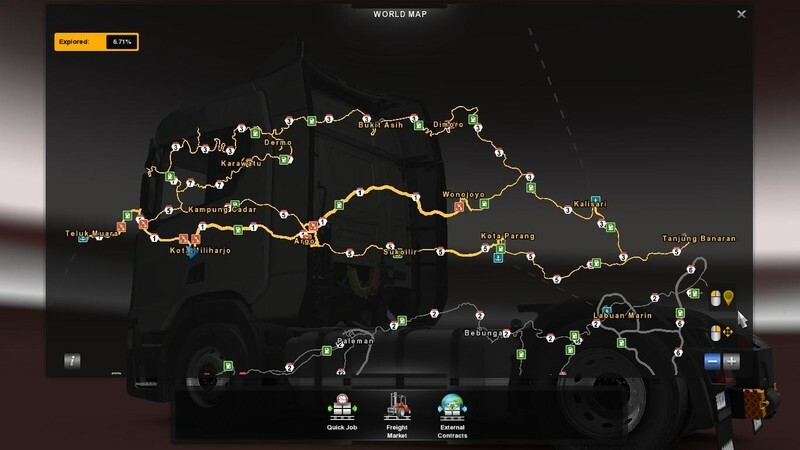 Mein - persönliches - Fazit: Gute, abwechslungsreiche Map mit vielen engen Landstrassen und Bergstrecken. Leider haüptsächlich nur kleine "Kuhtränken" in denen sich wegen den wenigen Transport Angeboten keine große Garage lohnt. Anscheinend geht sie bei mir nicht. Kann Indonesien auf der Karte nicht finden!?!?!? Es werden auch keine Aufträge nach Indonesien angezeigt. Karte habe ich auf höchster Stelle der Modliste gesetzt. Hm, ist es eine "stand-alone" Karte oder kann sie einfach eingefügt werden? Wie kann man dann nach Indonesien fahren? es kann als stadnalone genutzt werden aber man kann sie mit anderen kombinieren und das Zauberwort zum Thema Verbindung nach Indonesien heißt "FÄHRE"